Growing up in Jackson, Alabama, Sheneka Williams saw firsthand how living in a rural community could hinder access to something most people take for granted—books. Today, her passion for increasing access and narrowing the opportunity gap with the nonprofit organization, Books for Keeps, is helping thousands of at-risk youth combat the effects of “summer slide,” the learning loss many students experience while they are away from school. BFK is one of the more than 1,100 organizations supported by UGA’s annual Campaign for Charities, which ends Dec. 7. As board president of BFK, Williams serves the organization in a variety of ways, from acting as a liaison between the 12 board members and BFK’s executive director, Leslie Hale, to building relationships with the Clarke County School District, where BFK is currently present in 13 elementary schools, as well as five others across Georgia. 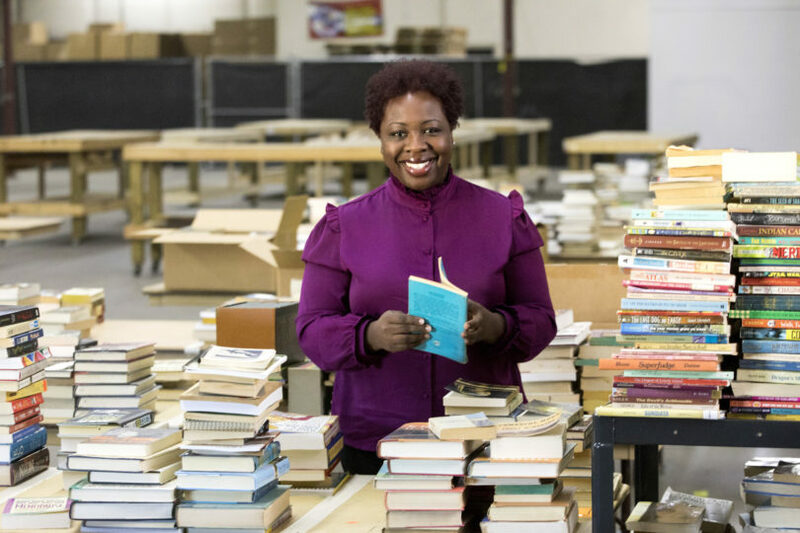 Every spring, Williams looks forward to distributing thousands of books—which are collected, inspected and sorted in boxes by volunteers throughout the year—to students on Books for Keeps Day. This event gives each child the opportunity to choose 12 books to take home and read to help prevent summer slide. As part of BFK’s research committee, Williams is particularly interested in securing funds to study the organization’s impact on students. Thanks to this partnership between UGA and BFK, faculty at the university can acquire the necessary data to see if children who participate in Books for Keeps Day actually experience a boost in their vocabulary and reading comprehension skills. “Athens has a lot of poverty, and there are a lot of children in need, so I think it’s a beautiful thing that we have faculty across the university, who like myself, donate and have an interest in BFK because we see the connection,” said Williams. This past August, BFK held its most successful annual book sale to date. In addition to raising funds for the organization, the event also gives local teachers the opportunity to stock their classrooms with any remaining books from the fundraiser. While Williams is currently focused on making sure all children in Athens have a book they can read at home—no matter their socioeconomic standing—she is eager to expand BFK’s efforts across the entire state.